Big news! For the first time in over half a decade, Rahdo and I will NOT be at Essen Spiel! But never fear…you can still get your Gamer Glass there! If you want pieces made especially for you, let’s chat before October 10th (I gotta have time to make them!) so please email me with the details of what you want, and I’ll get back ASAP with a quote and to confirm I can do it =). 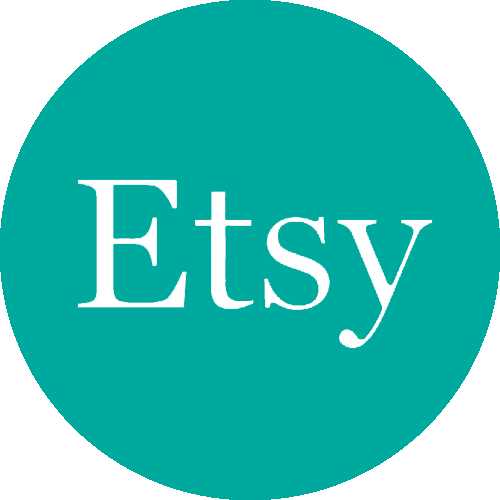 Once we’ve agreed on the quote, I’ll make a custom listing for you on Etsy. I will make the glass/pack your order securely (just as if it was being mailed) and send them all to Gabby. She will pop them into her luggage and carry them over for us, and they’ll be available for pick up from the Second Gate Games stand at Hall 4-D123. If you want a friend to pick up your glass for you, no problemo…just let me know and I’ll put their name on the label too. 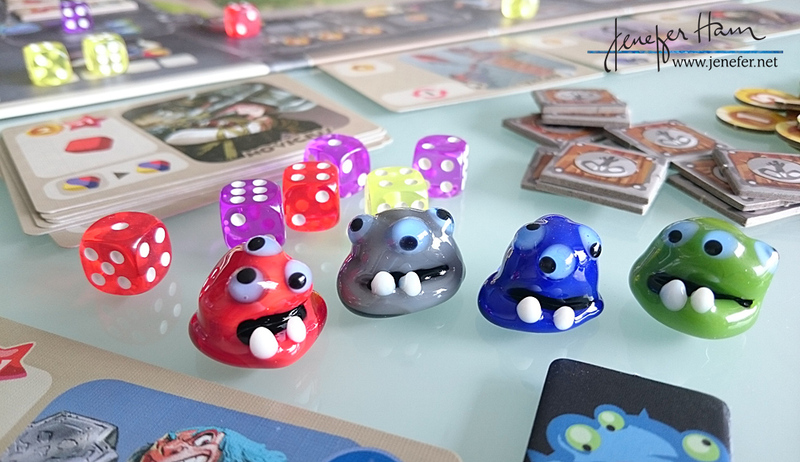 And hey, while you’re there, keep a sharp eye peeled for my glass MONSTERS (caged for your protection) which go with their monster hit Monster Lands! And be sure to check out their raffle, you might a win a monstrous little companion made by me! *What’s this about $14 shipping? It’s practically highway (oceanway?) robbery, but shipping from the US to EU is $14, and it’s also likely that packages will also incur VAT charges, customs duties, and a service charge on top for the local mailing service (click here for all the gory details). Bah! But you can see why I’m so thrilled and thankful that Gabby is helping me by hand-carrying over my work, and really appreciate the wonderful folks at Second Gate Games being our contact point. Thumbs up for Gaby 👍👍👍 and Second Gate Games! To bad you and richard won’t be there. Love the monster. So I’ll be sure to take a look.